Hey, everyone! It has been far too long since I have updated this blog, but now that things have finally settled down, I can start again! Since it’s been such a long time, let me share a few updates! 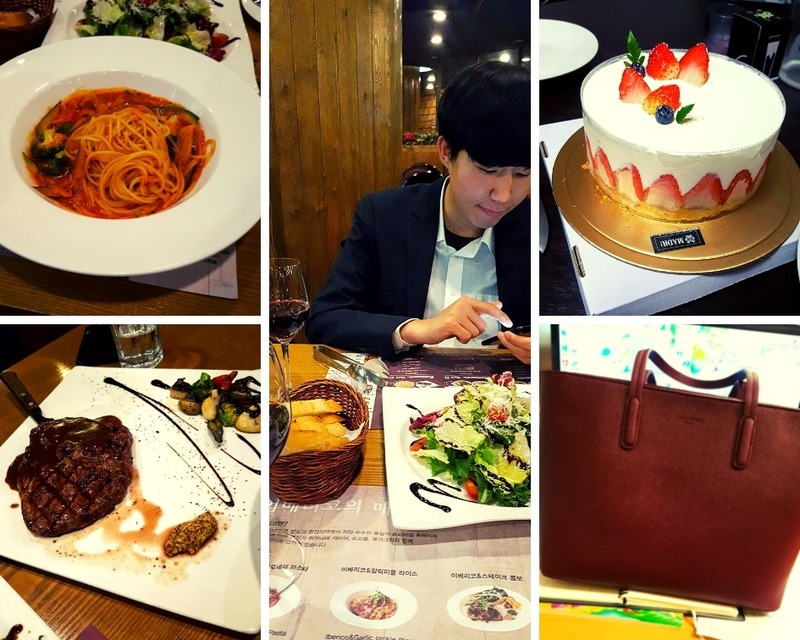 My birthday was in November and I had an amazing dinner with my boyfriend at a nice restaurant near the Lotte World amusement park. We shared a steak and some spaghetti with red wine, and later he gave me a beautiful strawberry cake with cream cheese frosting and a lovely burgundy handbag. He said it matched my hair perfectly. We did our best to spend time together and enjoy each other’s company, but it was a bit difficult as he was applying for schools and doing exams and interviews while I was working on my online publishing course. It was very challenging at times and I was trying things I had never done before, like marketing presentations and coming up with research topics without any specific direction. I intended the course to be a Capstone for my Professional Writing Certificate, which required me to write another research paper in addition to the final paper, but I found myself far too busy with other things to write the second paper. Fortunately, there will be other opportunities to finish my writing certificates, and I am quite proud of the work I did with that course. I kept up with every assignment and finished with excellent scores. 93.14% for the whole course! I chose The Name of the Wind by Pat Rothfuss for my marketing presentation. Let me know if you want to check it out! At the end of December, my winter vacation from school started and Johan and I flew together to visit my friends and family back home. We were there about a week and we saw as many people as we could, even taking a quick drive west to visit my dad and grandparents who were not well enough to travel. I missed seeing my grandparents the year before since my grandfather was recovering from surgery, so it was really great seeing them this time. Everyone loved meeting Johan and getting to know him, and Johan had a lot of fun as well, even though he was jet-lagged the entire time. He was always passed out on the couch by 9 o’clock and I felt so bad, but he told me he had a really nice time. We came back to Korea for New Year’s and then I was back to work. Work was busy as we prepared for the end of the year: finishing books, writing reports, getting last-minute worksheets done for the binders we give to parents at the meeting, etc. I was also looking for a new job, which meant a lot of emails and video interviews with different recruiters and schools. My plan was to stay in Korea at least one more year, but I didn’t want to stay in Seoul anymore. It was beginning to feel so crowded and my neighborhood at the time wasn’t that nice. I searched for schools outside of Seoul in an area called Bundang, which is in the southern region of the Gyeonggi province. My preference was Jeongja, which is where my boyfriend lives and it’s a very nice area. Tiggher stayed with her Korean grammy (Johan’s mom) while we were gone! Anyway, that brings us to now and after the move, things have finally calmed down for both of us. I’ve started at this new school and it’s taking some adjusting, but it’s alright. Johan got accepted into art school and also started this week. It’s very new to him, so he is also trying to adjust to his new schedule. Even though we’re both busy, we live close enough now that it’s easier to see each other, if only for a couple of hours. We also saw the Lion King musical for Valentine’s Day and it was fantastic! I really hope to keep this updated, whether or not I’m able to update it on a weekly basis. I have many ideas still and two drafts actually in the works at the moment, so I will get those done as well so I can share them with you. If you’re still reading after all this time, thank you so much. I appreciate you lots and I will do everything I can to keep myself motivated and inspired. I have a quite a few small goals to achieve this year, which I might share with you in another post just to make them more concrete. 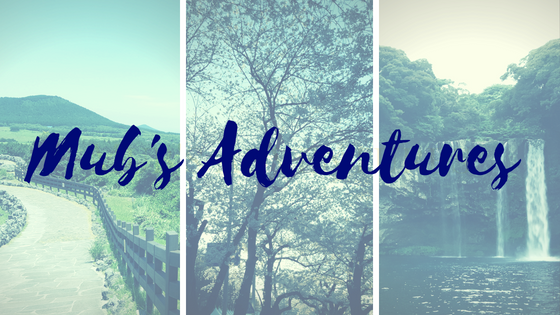 Update & Adventure to Nami Island! Hey, everyone! I know it’s been a while again, but I am here with another update, followed by a new adventure! I have had a few more adventures since I started my blog again, but I still have some adventures from earlier this year that I need to share. October was quite busy, even after the Chuseok holiday, as we prepared for Halloween festivities. I also began an online course through my university back home on publishing. Mostly I’m learning about book publishing and the insides of the industry, and so far it is really interesting and everything I’m learning could very well help me in the future, but it’s an 8-week course so it’s also quite intense. As much as I want to continue working on my blog and write new updates, my course takes priority. Fortunately, I have gotten a lot of work done earlier in the week, so I am finally able to write a new post! 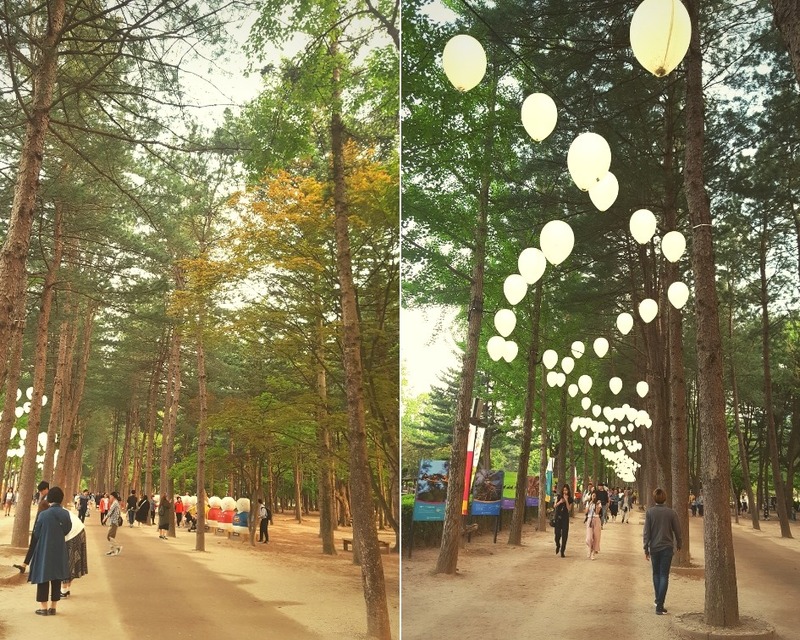 Today I will be sharing a trip I went on with my boyfriend (of course) to Nami Island. We went during the holiday weekend of Children’s Day in May from Saturday to Sunday. We took the train to Gapyeong and then a short bus ride to our guesthouse Jarasum. I wish I had taken pictures of the place because the aesthetic was all English and American and the overall theme was very much jazz-inspired. (Upon research, I learned that Jarasum is the name of the annual jazz festival in Korea.) We meant to spend some time in the basement area because they had a bar with jazz memorabilia everywhere (and a super narrow spiral staircase), but we were there just for one night. Really the highlight of the trip was Nami Island, and it was our sole purpose of being there. I had heard about this island while researching various places to visit in Korea, and Nami Island was described as “magical” and “romantic;” it was even used as a set for the Korean drama “Winter Sonata,” which I have not seen yet. We took a bus up to the ferry dock in late afternoon and after a quick ferry ride, we stepped onto the island. Even from first glance, this island did not disappoint. The famous path through the tall trees and strings of lights took my breath away and I hated that my phone camera couldn’t do the view justice. 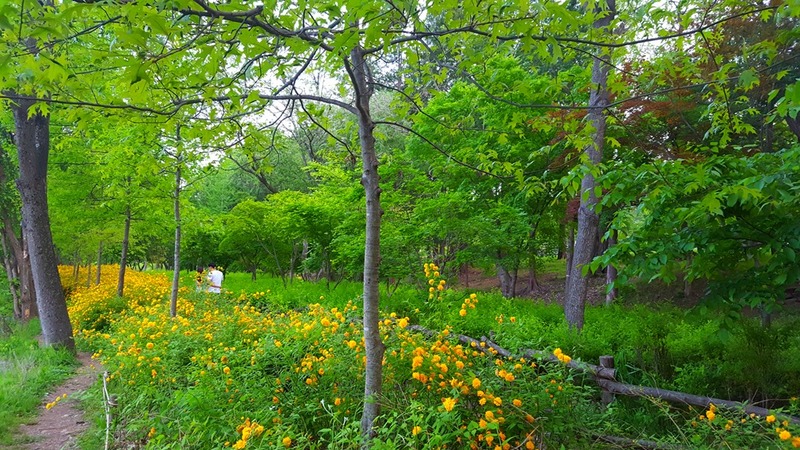 In reality, anytime I can get amongst trees and nature and green things is such a relief after spending so much time in the busy city, and Nami Island really felt like a breath of fresh air. I really did feel the romanticism of it all, mostly in the trees and numerous ponds and traditional decorations. 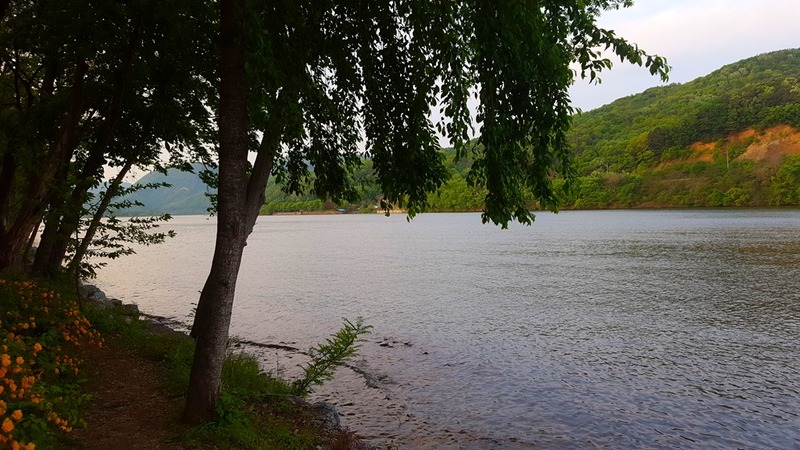 I can’t quite find the words to describe it, which is unfortunate for a blogger like myself, but I felt at complete ease just surrounding myself with nature and with the person I love at my side. We even saw an ostrich hanging out on the island and I think that may have been the first time I ever saw an ostrich in person. It was huge and it was magnificent! As the sun began its descent in the sky, we decided it was time to leave this enchanted island and find a good place for dinner. We got back on the ferry and looked around at the restaurants nearby. Gapyeong is actually very near to Chuncheon, where dakgalbi originated. (If you haven’t read my post about that yet, you should!) Dakgalbi restaurants were all around us, and there really wasn’t much of anything else. I was not at all opposed because it’s one of my favorite dishes, but it was hard picking which one to try. Unfortunately, we ended up at a restaurant that wasn’t so great. The food was alright, but my boyfriend was disappointed in the service while I was terribly distracted and nervous over the giant spider dangling over our table. I usually don’t mind spiders and other creepy-crawlies, as long as they are within a reasonable distance for me to smash them. Because this spider was over my head and out of reach, I felt completely vulnerable and I dreaded this eight-legged creature plummeting down into our food. Everything went smoothly, fortunately, and we ate our dinner without interruption. Getting back to our guesthouse was a struggle since the buses had stopped running and the taxi drivers were few and far between. Many of us sat and waited for a taxi to show up, and most of us followed common courtesy and surrendered the arriving taxi to whoever had been waiting the longest. This was interrupted, however, when a group of tourists jumped in and a few others, including my boyfriend, argued with the driver over who was waiting first, and the driver waved them off as the tourists climbed into the taxi. It took so long for another taxi to show up, and the other people waiting continued chatting about what happened and about other things, that eventually two Koreans who were waiting for a ride of their own offered to give us a ride to our guesthouse. It was so strange riding in someone else’s car, and I wasn’t able to speak a word to them, but we were very grateful to them for giving us a ride and I did my best to express that. It was still pretty early when we got back to our guesthouse, so we decided to buy some snacks at the nearby convenience store and hang out on the roof outside our room. In early May, the evenings were still a little chilly, but it was a good night to sit out and look at the sky. I can’t remember now if I saw many stars, but I imagine we saw a few out there in the small city. In the morning, the sky was gray and the weather was rainy as we packed up our things and checked out of the guesthouse. We looked for a place to have breakfast and ended up finding a coffee shop with warm pastries near the train station. I really didn’t want our romantic trip to end and go back to reality, but I was glad that we went in the first place. 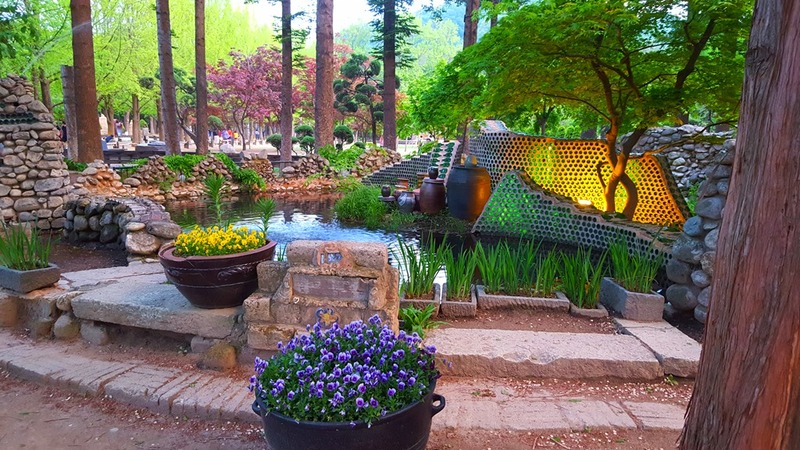 I would love to go back someday and explore more of the Gapyeong area because that is where you can find a little park called Petite France that looks like a slice of a French village placed in Korea. 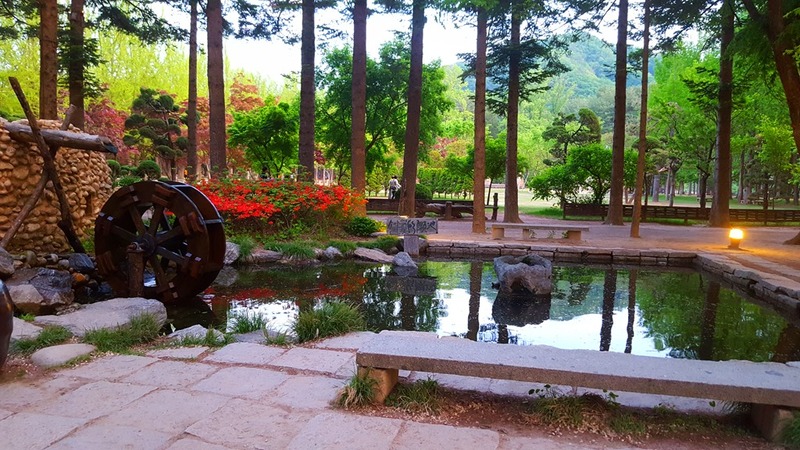 There are still many places in Korea to visit, as well as the neighboring countries, and I hope to continue exploring them and tell you about my adventures! Thank you so much for reading and I’ll do my best to keep sharing my stories with you! Mary Beth on Sunshine Blogger Award! Brave Grey Cat on Sunshine Blogger Award!